My overpacking isn’t limited to clothes. I have SERIOUS liquid needs, given my curly hair and sensitive skin. However, I can still fit enough for a 3-4 day trip in a single quart-sized bag—without having to compromise. If you’re traveling by plane, you are likely (or should be) aware of the restrictions on liquids you take in your carry-on luggage. For this curly-haired girl with a wild mane, sensitive skin, and propensity to overpack, the pesky rules for having liquids in my carry-on used to lead me to check a bag based on my liquid needs alone. But over the years, I have managed to squeeze all the products I need for at least a 3-4 day trip into a single quart-sized bag. 1: All liquids must fit in a single quart-sized plastic (zip top) bag. Stock up on containers of varying sizes. Even if all of your chosen products come in travel size, accept that you may need to stock up on a few extra containers in smaller sizes and different shapes. If all of your bottles are round, 3 oz. bottles, you won’t be able to fit everything in the bag. Think about this as well when you’re shopping for travel-size stuff. While Listerine comes in a handy-dandy travel size bottle, the Crest mouthwash is an easier size to pack. Bonus tip: Even though I can’t use hotel shampoo and conditioner (lest I end up looking like Cousin It), I will empty out the bottles and take them home with me for a future trip if I think they’ll be useful. Estimate how much of each item you need, and fill a container of that respective size. Just because you can take 3.4 oz. bottles doesn’t mean that you need 3.4 oz of everything. For instance, I typically need more conditioner than shampoo, and I rarely go through 3.4 oz of shower gel. Every drop adds weight, so keep that in mind. Yes, you think you will remember which one is which, but I have a drawer full of mostly-used travel-size bottles that have a now unidentifiable liquid in them. Just because you will remember for the next couple of days that the lotion is in the pink bottle and the conditioner is in the blue one, realize that you’ll likely want to reuse those bottles for your next trip. If you don’t have a label maker, a sharpie will generally work fine. Test your bottles for leaks. Once I have filled a bottle and tightly closed the top, I always give it a good squeeze to see if any liquid comes out. Few things are ickier than having a liquid leak all over your other bottles inside a plastic bag. Take an extra, empty plastic bag just in case. Put taller items on opposite ends of the bag. I have two hair products that won’t work in alternate containers–both are spray-on products, and the pumps on generic, store-bought bottles usually get clogged by these products, so I have to stick with the ones they come in. This is a HUGE pain, as the bottles are quite large compared to what I actually need. BUT, I’ve discovered if I put them on opposite ends, the bag is easier to load with other stuff, and it ultimately much better. 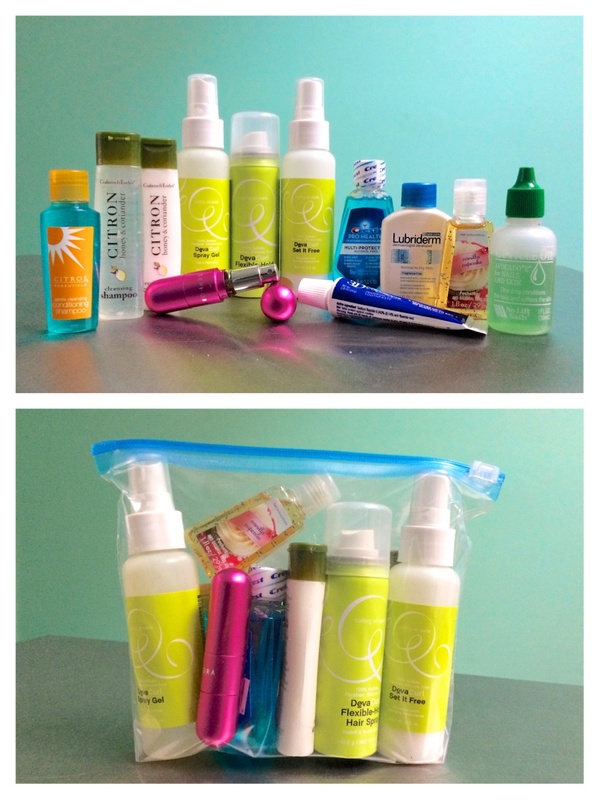 Save smaller/skinnier items to pack last. Small and skinny items can be used to fill gaps and holes once you’ve packed in your larger items. Save them for loading in the bag last. Make sure the bag zips…easily. Voila! You should be able to squeeze in everything you need for at least a few days. 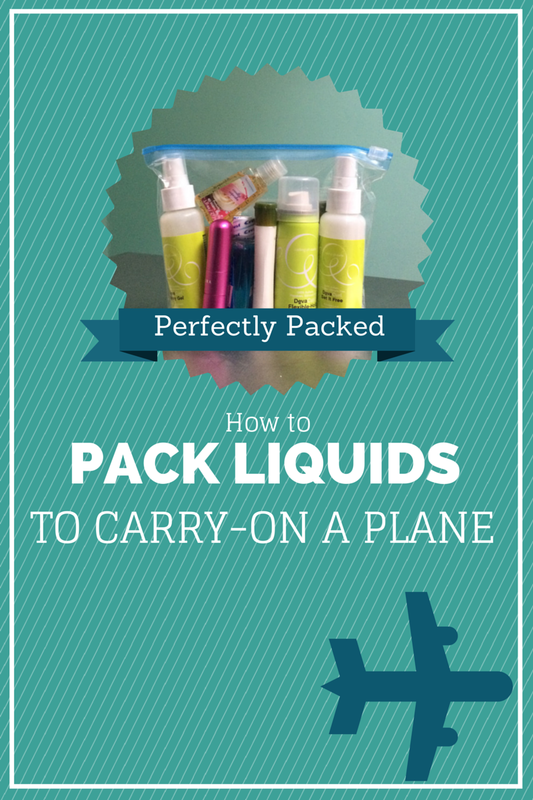 Do you have any tricks to making all of your liquids fit in a quart-sized bag? Share yours below! Going through your blog is literally saving me as I begin the packing process! Thank you! So glad I can help! When you do you leave for your trip? Are you traveling somewhere on business or for fun? That sounds AMAZING! I’m now following your blog, so I can’t wait to read all about it! I am the same way with packing and I have the same hair and skin issues plus a back injury that requires gels like biofreeze. I am going on a 2 week trip to China for business and we are changing cities quit often and we can’t take checked bags because we’ll use high-speed trains and they only allow carry on luggage. Do you have any tips for a trip like?